After three days with a Droid (actually two of them), I’m glad to say my expectations have been reached. The Droid is the best gadget/phone I have ever owned by far. I should note that I’m coming from a Window’s 6.0 Mobile phone which now feels light-years behind Android. This is my first Android phone so it did take me about an hour to get comfortable with how everything works. For the most part, everything is user intuitive, especially the stuff you would use daily such as calling someone, SMS, or browsing the web. It could be difficult finding a particular setting to change, but I was able to find them all eventually. Droid is the first phone with Android 2.0 and I particularly like how it handles notifications, widgets, apps, and multitasking. All notifications including SMS messages, new e-mails, app updates, missed phone calls, and anything else requiring your non-immediate attention are grouped together in a status bar at the top of the screen. The status bar can be pulled down at anytime listing all the notifications. The pull-down notifications is really convient as I wasn’t bombarded by messages constantly when I was browsing the web or using another app. Widgets are also really useful as now I can get quick updates just by looking at my home screen. Facebook status is now right on my home screen along with calendar appointments. Speaking of Facebook, the integration with my contacts was a neat feature I wasn’t expecting. The pictures next to the contacts are now updated with the latest Facebook picture, and that picture shows up when he/she calls. The screen of the Droid is gorgeous. It’s listed as 3.7″ at 854 x 480 pixels. My eyes used to hurt if I stared at my old Samsung i760 screen long enough, but not with the Droid. The network is also great as I’m averaging around 1.3 Mbps when I do a speed test. Battery life is good and should last a full day with more than average usage. The slide-out keyboard is Ok. I found myself using the touch screen keyboard in landscape mode more than the slide-out version. Apparently multitasking is a big deal since the iPhone can’t do it, but I can’t imaging not being able to listen to music and type an email at the same time. The killer app on the Droid is Goggle Nav. There is a reason why Garmin and TomTom’s stock dropped 20% the day Google Nav was announced. I’ve used it over the past couple days and it has huge potential, but there is a reason it’s still in beta. The 3-D street view used as directions is hard to beat, but I found it wasn’t accurate enough to trust. The most useful part was the real-time traffic data. The biggest problem I had with the Droid was that the first one I received was defective. The phone crashed liked crazy with reboots around 20 to 30 times a day. After coming from Window’s Mobile, I didn’t think it could get any worse, but it did. I thought it was an incompatible app for a awhile, but found out through the Motorola support forums that it was something internal to the phone. Verizon replaced it without a hassle and said I was the only one to come back with any problems. The store I was at sold over 150 Droid phones so that strangely made me feel more comfortable as it looks like the phone has some good quality control. After three days with the Droid, I can’t really think of any major negatives… and that was with a broken phone for a day and a half. I wouldn’t mind more apps, but I think that’s coming now with the Avalanche of new Android phones. The camera and slide out keyboard could be better, but they are manageable. If your thinking about getting a Droid …than go get one. I highly recommend it and I would even recommend it to non-techie types. The $600 price tag for the PS3 caused plenty of backlash towards Sony with critics saying Sony priced out many of its customers. Yet, Appleâ€™s $600 price tag for its iPhone has not caused the same negative reaction. The focus has been on iPhoneâ€™s unique user interface and advanced technology. Does the PS3â€™s dual HDMI v1.3 ports and built-in Blu-ray drive not equal iPhoneâ€™s advanced touchscreen and user interface? Below is a hardware and feature comparison between the PS3 and iPhone. The chart reveals that you get more bang for the buck out of a PS3. The chart also shows how bad Sonyâ€™s marketing is. Almost every article written during the PS3 launch mentioned the $600 price tag, and its high price tag caused a huge negative vibe with the internet community. Yet, Appleâ€™s $600 price tag for a phone has not created that same negative vibe. No wonder why Apple wins marketing awards year after year. OK, so comparing the PS3 to the iPhone is like comparing apples and oranges (no pun attended). One is a mobile device and one is a family room device. However, they are both $600, and they are both advanced for their respective category. The question is would you spend your hard earned $600 on an iPhone or a PS3? My experiences with gaming on a xv6700 PDA phone has been mixed. I found games using the stylus and touchscreen work better than games using the xv6700â€™s mini joystick. Myst and Riven are perfect examples of games that work well with the xv6700â€™s touchscreen. Old fashioned arcade games like Frogger also work well. Getting a laptop internet connection can be difficult when traveling. Options include searching for a Wi-Fi hotspot or getting a data card from a wireless carrier. Another option is to use your PDA phoneâ€™s data plan to wirelessly tether data to your laptop. The PDA phone has the ability to act like a modem and provide an internet connection to the laptop via Bluetooth. The speed of the internet connection will be limited by Bluetooth or by the cell phone carrierâ€™s data service. If your PDA phone and your laptop both have Bluetooth 2.0, then your limited by 3 Mb/s. Otherwise, Bluetooth 1.2 will limit you to 1 Mb/s. Your cell phoneâ€™s data plan is limited by whether it uses EDGE (236 kb/s), EV-DO Rev. 0 (2.4 Mb/s), EV-DO Rev. A (3.1 Mb/s) or HSDPA (3.6 Mb/s) technology. Make sure your PDA phone is compatible with one of the high speed data technologies mentioned above. A great Bluetooth tethering how-to can be found at Engadgetâ€™s website. They have a story titled How-To: Use your EV-DO Pocket PC phone for internet access on how to wirelessly tether a laptop to a xv6700 PDA phone. Skype has a version of their VOIP software available for PDA phones. You might be asking why anybody would want to use VOIP on a cell phone. There are a few good reasons, and there were a few times I found Skype on my PDA phone useful. The first example I can think of is the time I ran out of minutes. Instead of paying the ridiculous 40 cents per minute Verizon charges, I used my Wi-Fi network and talked to my friends through Skypeâ€™s mobile software. The second time I found Skype on my PDA phone useful is when I traveled overseas and couldnâ€™t use Verizonâ€™s cellular service. Verizon uses CDMA technology while the rest of the world uses the incompatible GSM technology. The only way I could use my Verizon PDA phone was to find a Wi-Fi hot spot and use Skype Mobile. Of course, this example works anytime you donâ€™t have cellular service, but have Wi-Fi access. The quality of Skypeâ€™s service has improved over Skypeâ€™s initial software release. I kept on getting connection and latency issues with the first version. The current version is more stable, but still has its hiccups. I wouldnâ€™t recommend using Skype as a replacement for regular cell phone use. Itâ€™s more of a good backup for now. It seems that almost every new home theater network device out there is including an Ethernet port. New HDTVs, receivers, home automation devices, DVRs, HD DVD/Blu-ray players, HTPC, game consoles and even appliances all can communicate with the internet and within your home theater network. The PDA phone is the perfect device to control all these devices since itâ€™s always in your pocket, and has the ability to always be connected to the internet whether at home, work, or outside. What if you are sitting at your porch and you wanted to turn the speakers on and listen to some MP3â€™s on your HTPC. Without getting up, you could use your PDA phone to tell your receiver to output audio to the porchâ€™s speakers, and to switch its audio input to the HTPC. You could then remote admin into your HTPC and pick which songs you want to play, which will now be playing on your porchâ€™s speakers; all without getting up. Another example I could think of is home automation. You could use the web browser in your PDA phone to turn on/off lights, lower the AC temperature, or view security cameras. I realize this is more of a future-type example. HDTVs and receivers only recently started to have internet connections, and most people donâ€™t have PDA phones, HTPCs or home automation devices right now. However, the potential is there for the PDA phone to become a remote control for your whole home theater network. The cell phone companies want to nickel and dime us for everything, and now they are hoping weâ€™ll pay an extra $20/month for streaming TV video. Another choice would be to put the $20/month into a data plan, and purchase a slingbox. For those who donâ€™t know, a slingbox lets a user stream video over the internet from a cable box, DVR, or any video source. Slingboxeâ€™s Mobile software can be installed on a PDA phone, where the user can change channels and watch live TV. There are other ways to watch streaming video on your PDA phone. One way is through youtube, which has launched a mobile version of there website at m.youtube.com. Another way is through a free program called ORB, that lets users stream audio, video, or data files over the internet to any computer or PDA phone. 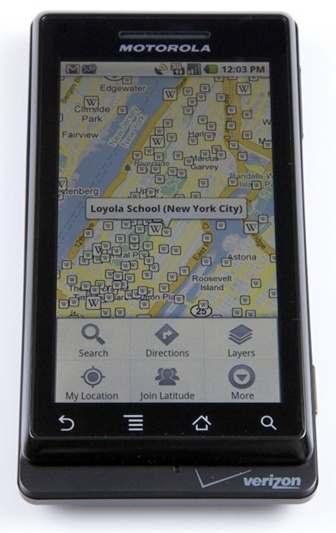 Google also offers mapping software (found at this link) that you can download to your PDA phone. The mapping data is always sent through the internet so you will need either a data plan or Wi-Fi access. If you have internet access, then google maps on a PDA phone is almost exactly the same as Google maps on a PC including satellite pics, directions, and real-time traffic info. If you donâ€™t have internet access or you would like more features, then take a look at TomTom or iGudance navigation software. For some reason, mobile users canâ€™t just go to Sirius.com or xmradio.com and click on the streaming links like regular PC users do. Sirius and XM should really find a way to fix this, but for now there are other programs available to stream satellite radio. Iâ€™ve been using Sirius WM5, and have no problems. Another program that works for Sirius subscribers is SiriuCE 2. A great website that lists American and Canadian radio stations streaming online is thestreamcenter.com. In the end, not having to carry around two gadgets in my pocket, and not having to sync two devices is what keeps the iPod in the desk drawer. My xv6700 doesnâ€™t have video camera abilities, but some of the newer PDA phones are starting to carry this feature. The same low lightning and no optics problems that impairs camera phones will also impair PDA phones with built-in video cameras. However, the convenience factor is high as all the â€œI wish I had a vide cameraâ€ moments will disappear. The things to look for in a PDA phone with a built in video camera is the maximum resolution and frame rate it can record. For a comparison, standard video cameras record at 640×480 pixels at 30 frames per second. Another aspect to look for is where all the video will be stored. Most PDA phones have slots for micro or mini SD flash cards, which can store a few GB of video. Itâ€™s hard to get a phone without a camera these days. Having a digital camera built into my phone has come in handy and has stopped all those â€œI wish I had a cameraâ€ moments. Itâ€™s also nice seeing the camera quality improving with most new camera phones featuring 2 megapixel sensors. Camera phones are best at close up pictures. Make sure you have adequate lighting since most camera phones donâ€™t have a flash. Camera phones also donâ€™t have optics, which means you wonâ€™t be able to zoom in and out. The camera phone wonâ€™t replace my digital camera anytime soon, but I have found it useful. Iâ€™m sure the quality will improve as time goes on. The Korean and Japanese markets are already selling 5 megapixel camera phones. Who knows, maybe one day we will have 5 megapixles sensors, built-in optics, image stabilization, advanced exposure control, and built-in flash in our PDA phones. Surprisingly, some major sites like espn.com and cnn.com donâ€™t have mobile versions. Espn.com crashes on my PDA phone due to the video script they automatically play on the side. The mobile browser will have to determine how to style a site not designed for phones. The two popular mobile browsers out there are Opera and Internet Explorer with my personal preference being Opera. I found that Opera does a better job displaying pictures in non-mobile websites, and Opera has the added benefit of tabbed browsing. The iPhone will launch with Safari. From the demos, Safari might be better than both IE and Opera. As the name states, the PDA phone can perform PDA functions such as spread sheets and word processing. The xv6700 I own runs on Windows Mobile 5, and it include the typical Microsoft Mobile Office programs such as Outlook ,Word, and Excel. Mobile Outlook syncs with my PCâ€™s Outlook so I always have the latest email on my phone. You can get email wirelessly pushed to your phone if you have a data plan and have an email exchange server setup. The no-brainer function. Most people would want their PDA phone for the cell phone abilities. However, I have heard of a few people who bought the xv6700 just for the high-speed EV-DO service, and didnâ€™t get an actual cell phone plan. In my opinion, I wouldnâ€™t purchase the xv6700 PDA phone for its â€œphoneâ€ qualities. Its earpiece isnâ€™t that loud, and itâ€™s hard to quickly punch in numbers. You have to either use the slide-out keyboard, or use the stylus on the touch screen keypad. However, there are many ways around these issues. The xv6700 has Bluetooth so I mostly talk using my Bluetooth headset, which solves the low earpiece volume issue. The xv6700 also comes with voice dialing, which is what I use to quickly call someone. Phone attributes of the xv6700 arenâ€™t as good as my previous Motorola cell phone, but itâ€™s more than adequate. All the other features far outweigh the low earpiece volume and number keypad negatives. With the iPhone coming out in a couple weeks, I thought it would be a good time to go through some examples of what a PDA phone can do. The iPhone is a PDA phone, but is one of the first without Windowâ€™s Mobile. Can the iPhone do everything listed in the PDA phone applications list? Until itâ€™s released, we can only speculate. For now, Iâ€™m going to use my xv6700 to go through the full list. For all of you who are addicted to the internet, the PDA phone is a perfect way to have constant access. Whether youâ€™re at a relativeâ€™s house, on a subway, or anywhere away from home, the PDA phone can access the internet in a multitude of ways. It was only a few years ago where phones were limited to download speeds of 144kb/s. The 1xRTT download speeds have evolved to high speed services such as EV-DO and WiMAX. The maximum downloads speeds for EV-DO is 2.4 Mbit/s with Rev. 0 and up to 3.1 Mbit/s with Rev. A. Youâ€™re basically able to get cable modem speeds on your phone, which opens up application such as streaming audio/video and web browsing. Some PDA phones come with built-in Wi-Fi, which is the fastest and cheapest way to access the internet. Youâ€™ll save $40/month that wireless carriers charge for high speed plans, but youâ€™ll be limited to the sporadic Wi-Fi locations. The xv6700 has both Wi-Fi (802.11b) and EV-DO capabilities. Verizon is my wireless carrier, and they charge $45/month for EV-DO access. Thatâ€™s a little too steep of a price for me, but competition should be bringing that price down soon. Until then, Iâ€™ll keep searching for Wi-Fi spots.